In begin of May there was the 7th LibreGraphicsMeeting in Vienna and Oyranos participated also this year in this meeting of nearly all free/open source graphic software. Oyranos had two talks there and I already blogged the impressions. Now the most of the videos from the talks are online. The playlist with all talks which was recorded can be found here. During the recent days I improved the file dialog preview of ICC Examin. As a result I created a new Oyranos tool called oyranos-profile-graph, which can be found in git. It provides a simple icon and can potentially be used in tools like Synnefo or KolorManager‘s info tab. 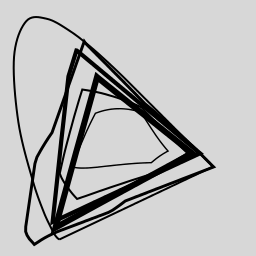 There exist some graphing tools like ppmcie to generate a nice triangle inside a CIE*xy horse shoe. But as ICC Examin sticks on CIE*Lab, I think it is more appropriate to use the CIE*a*b projection instead. Both are available by oyranos-profile-graph. 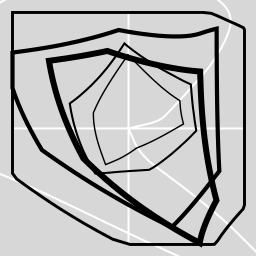 The graphical output of the tool is really simple, beside using Cairo for antialiased curves. Below are the 2D graphs for sRGB.icc LStar-RGB.icc ProPhoto-RGB.icc ISOcoated_v2_bas.ICC ISOuncoatedyellowish_bas.ICC profiles. The first graph is CIE*ab and the second shows the same saturation lines in CIE*xy. Krita, a painting application with high dynamic range (HDR) support, is in the planning phase for the next release cycle. One hot topic is currently the discussion about what can be done to make movie makers even more happy. A good candidate is the marriage of film industry colour management with Krita’s inbuilt ICC style colour management. But Krita maintainer Boudewijn Rempt expressed surprise about movie style colour management in other apps. This post tries to compare how both colour management worlds work and how they can better fit for the advantage of each other. The ICC format standard is for its most popular flavors designed as a characterisation of one colour space conversion in reference to the standard observer colour space or in ICC terms the PCS. That allows a very flexible combining of ICC profiles from many different devices into colour transformations and is one of the basic principles of the ICC standard. The advantage of using existing ICC workflows is, that tools for on the fly monitor colour correction are almost all ICC based and well understood. So, how does the movie industry currently define colour spaces in their workflows? In short, film colour spaces are characterised by standards and not by ICC profiles. On a technically level the involved file formats use pretty much the same basics. That is, curves and 3D tables, which are available inside the ICC foraremat as well. However colour tables of movie makers, called LUT’s, are very closely related to the intended usage during film production. 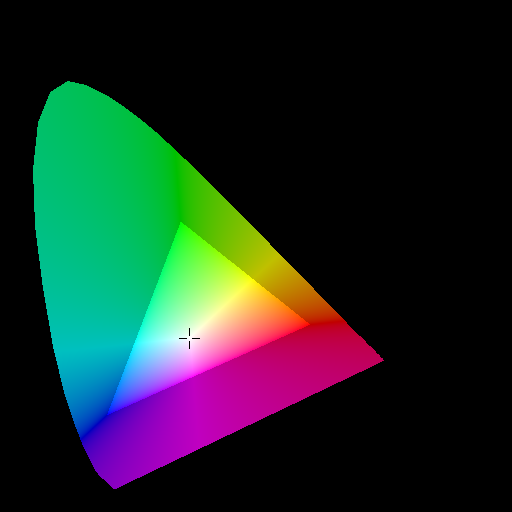 These LUT’s can combine a colour space conversion from a source colour space: typically a linear gamma floating point encoding toward a final display. A simple colour conversion with just two ICC profiles would not adequately represent how a good movie picture should look like. So adding of scaling curves is needed, to obtain a tonal representation of brighter than white parts of a scene. That part can include logarithmic scaling or other methods. An S shaped gamma is sometimes used to get a closer to film look of the footage output and possibly more tricks are used to create a pleasing colour output. And last but not least, the simulation of the intended output device, as in a typical cinema, is most often baked into film production LUT’s. So a LUT contains the original source colour space and many additional ingredients. Movie makers have searched for ways to use their LUTs inside traditional ICC colour managed software: in one approach, they simply placed the LUT inside a ICC profile and could use the LUT’s in more software, typical as a proofing profile. A proofing profile is a normal ICC output profile describing the colour behaviour of a single devices. For film makers that is pretty much the way they use LUT’s anyway: as colour conversions in their workflows. The approach of LUT baking into ICC output profiles is semantically not a good fit. However, there exist two other not so well known ICC format flavors, which could be far better deployed in order to support film LUT’s style colour conversions. The one which comes technically closest to a film LUT is the “device link profile class”. A device link profile represents a combination of a complete colour transformation over a arbitrary number of colour spaces and manipulations into one final colour profile. As input and output colour spaces are included, a device link profile is pretty much a fixed thing like a LUT. But that means, it completely misses the flexibility of normal ICC profiles: that is the ability to get combined with different devices in an almost automatic fashion, with little user interaction if at all. Another ICC profile type candidate is the abstract or effect style” ICC profile. These profiles can be used to simulate a device, do a colour manipulation or a combination of different conversions. The big advantage of the “abstract or effect profile” class is the very common PCS reference for the input and output side. So these profiles can easily be chained between a input colour space and a monitor device profile. Baking movie LUT’s inside abstract profiles instead of device profiles would work more nicely inside ICC style workflows. Then, applications which support effect profiles can simply select the right effect LUT without touching a source colour space or even the monitor profiles, which would, among most people familiar with ICC style colour management, be considered a hack, and with reason. The idea of using abstract profiles inside a painting application is not new. It was demonstrated around 2004 inside the CinePaint open source application. The abstract profiles were, for convenience, called “look profiles” inside the UI. CinePaint allowed users to chain “look profiles” and comfortably enable and disable them in order to see their effect. The “look profiles” where used on the fly, without touching the image colour space. It was also possible to apply “look profiles” irreversibly and persistently to a image. The decision for CinePaint’s “look profile” workflow was directly inspired by movie studio needs. At the time the underlying lcms library supported only 8 and 16-bit per channel. With the upcoming half floating point support in lcms, the “look profile” workflow starts soon to make sense as well for OpenEXR images. Lcms implemented further support of floating point elements inside ICC profiles to meet higher precision needs of the film industry. It will be interesting to see how this can be utilised. Sirko brought up the idea to organise a hackfest together with developers of applications for Linux desktops and experts interested in colour management. The idea behind that event was to bring interested developers together, support them in implementing color management in their software and move forward that topic across desktops and distributions. During the recent LGM we found a chance to involve Richard Hughes and planed together about what we like to do during the hackfest. We spotted three main areas of interest: desktop applications including window managers, web browsers and printing. These topics are already worked on, but in a scattered way. As example, Gwenview is a really great application for managing pictures. But it has no color management implemented yet. Color management in KWin is worked on during the GSoC this year, but in the opposite color management in the compositing manager mutter on the GNOME side is far away as can be read here. Not many web browsers support color management and if they who do, it is often incomplete. The SVG v2 standard will for example introduce additional color management features compared to SVG v1. So it is now the right time to get these implemented in order to be well prepared. For the KDE printing stack there is also a GSoC project this year, but also the Linux Foundation has a working group for this topic. So, by meeting in person in one place, we want to get something done and build a good understanding of the role of each participating group for a working end to end colour management. The hackfest will very likely happen in Brno in the Czech Republic at the Red Hat offices. A good time appears later this year 16th till 19th November. Now we like to collect more ideas, speak to people and sort financial issues. The Technikum Wien provided a nice place and great support for the LibreGraphicsMeeting. Many thanks to them. 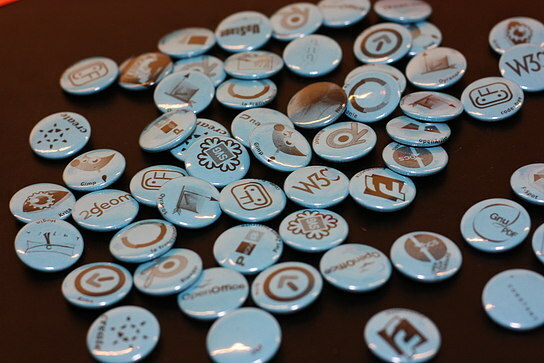 LGM happened together with the Linuxwochen Wien and developers and users could talk about graphics and arts themes. Additionally to the one presentation track over all days, we had BoF’s and workshops. 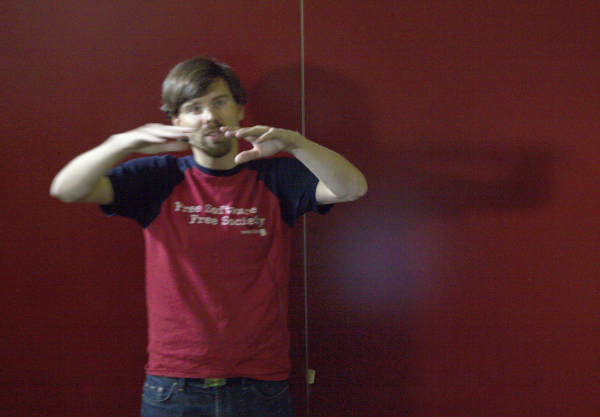 Some of us took the chance to present to a non LGM audience and meet people there too. 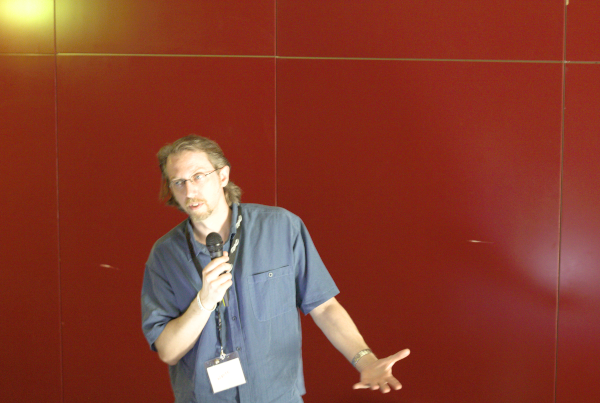 The LGM talks covered lots of OpenCL projects. That means modern GPU computing power is available to open source graphics components in a much broader way. As the use of OpenCL is supported by the Mesa software implementation, there is some kind of guarantee, that OpenCL programs will run on elder hardware. That means OpenCL can be used without the need for developers to provide a fallback mechanism, which simplifies adoption. The colour management talks provided lively discussions around many topics like printing, displaying and open hardware. We discussed as well the impact of introducing colour management in frameworks like GEGL. As mizmo showed interest, I explained the most basic terms of ICC rendering intents in a small BoF using ICC Examin. Animtim compiled and installed Oyranos from sources and wrote already a small tutorial on how to build Oyranos on kubuntu-12.04. The presentation of Markus Raab about the Elektra configuration gave to me some impressive insights into the concepts and flexibility of that small framework. The really cool thing about this library is it can abstract a lot of details and provide additional features, which can be added on run time like DBus support. He announced a new release of Elektra as version 0.8.0 during the event. The metalab was for most people from countries without a similar open hardware/open source collaboration zone a impressive visit. We all enjoyed to could stay there for some hours and felt, this place is much in the spirit of most LGM contributors. During Nathan Willis workshop about the Create wiki, we discussed to start a email list for create users. That list is supposed to provide help and talk about experiences with graphics applications and help from users for users. Sirko (alias gnokii) and Tobias (alias houz) played diplomat and managed to channel information in a way that Richard Hughes and I could finally meet in a productive atmosphere and continued talking about technical issues. At the end we found a mod to work again together on standards inside the OpenICC collaboration project. I am pretty happy with that change. So, thanks to all parties who helped with that. 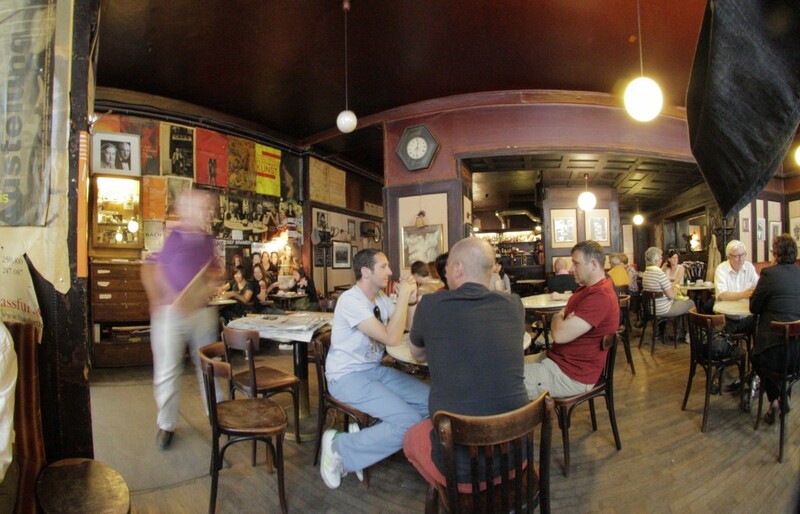 Tatica, Pete, Sirko and I walked around on the last day in Vienna and relaxed in the café above. The new version of the cross platform Colour Management System comes with new features and bug fixes. The ChangeLog contains the full list of modifications. About: ArgyllCMS is the primary tool set in the open source world to access colour measurement devices and to create ICC profiles. Together with it’s colour conversion and analysis capabilities it is located in the tool box of many colour management professionals. Several freely distributed graphical front ends exist for ease of handling. organising and sponsoring the program. Colour Management for Krita Printing. options inside dialogs or embedded in host applications. the OpenICC organisation and with that in the participating students.